Limited edition James Fiorentino lithograph titled "Yankees Win" featuring Yankee legends Thurman Munson and Ron Guidry. 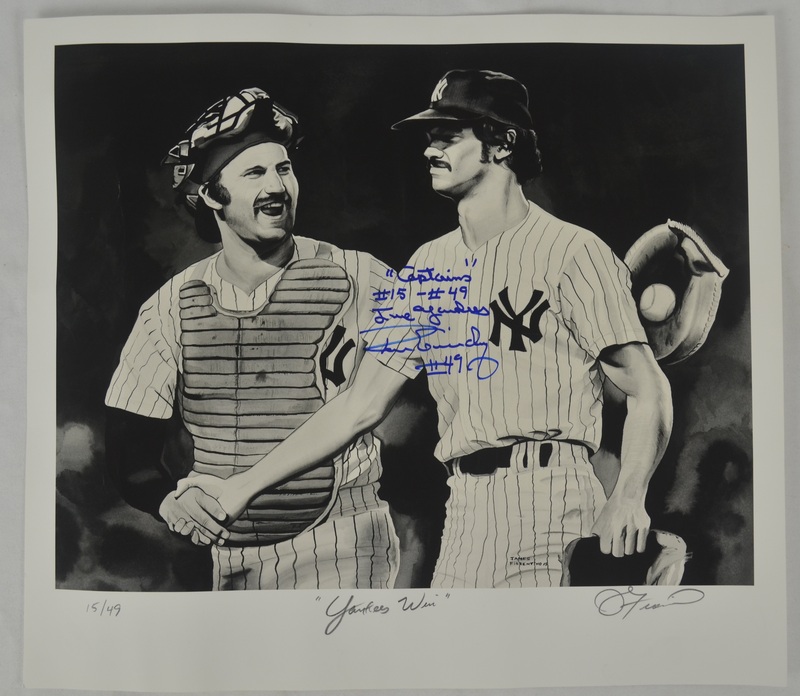 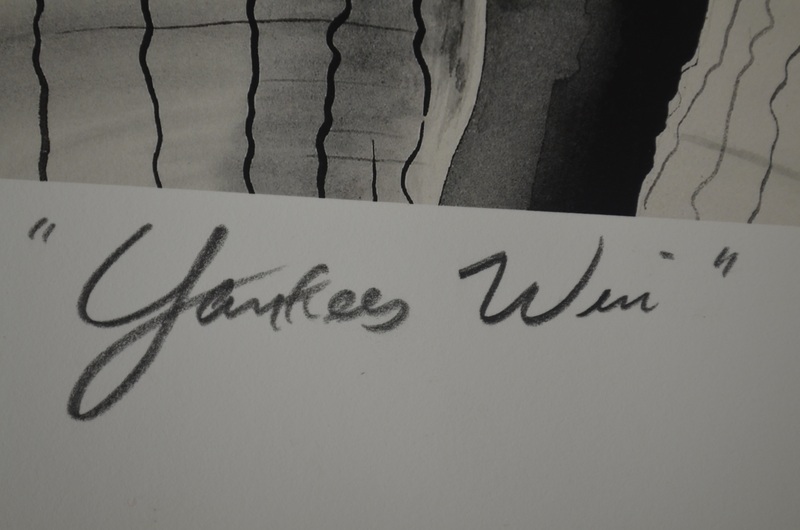 There were only 49 of these lithographs made (Ron Guidry's jersey number). 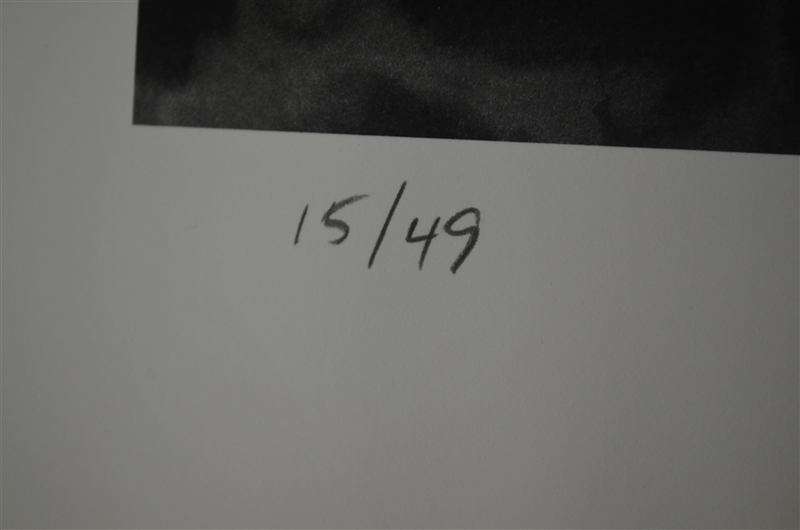 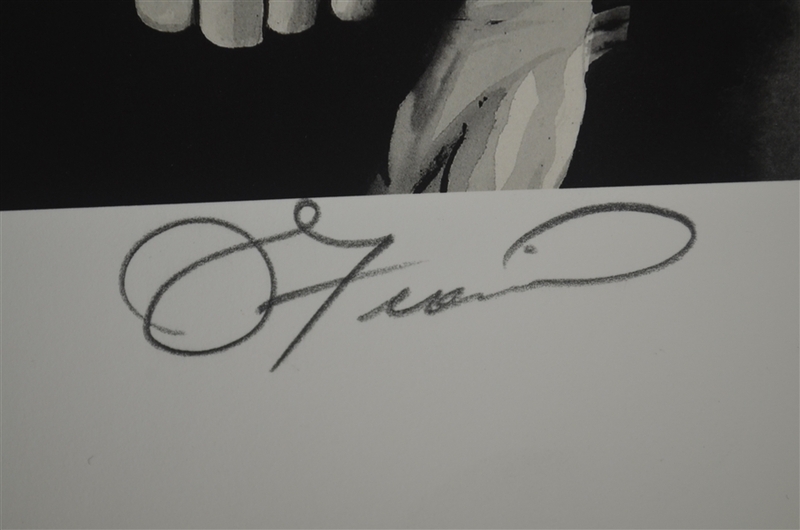 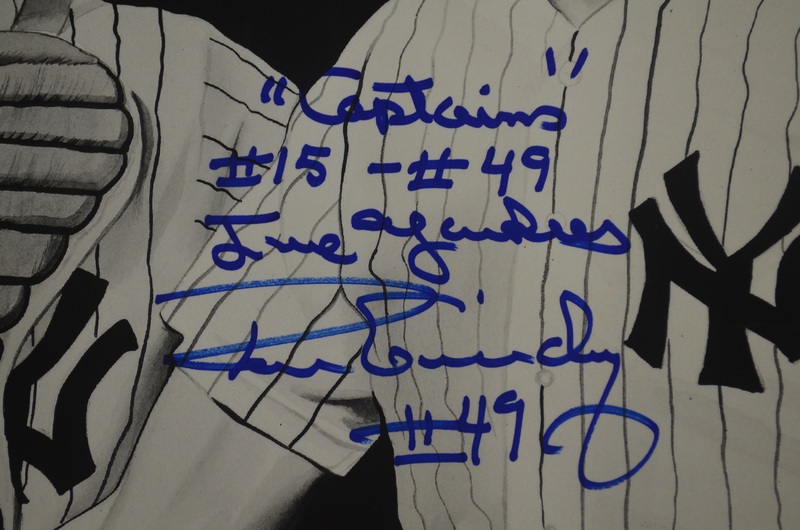 This particular example is special because it is #15 of the edition (Thurman Munson's jersey number). Signed and inscribed "Ron Guidry, Captains #15-#49 True Yankees, Ron Guidry #49".